Enjoy Napier on a budget! You don’t have to break the bank to have an awesome time in the city of Napier. Napier is a city home to and surrounded by free natural attractions, walks, museums and things to do that cost under NZ$25. 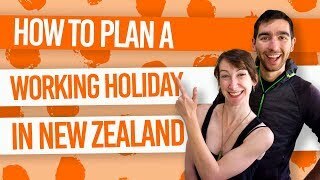 If you’re travelling on a budget, or trying to save money in Napier while working in the area, then this list of free and cheap things to do in Napier is for you! Explore Maori cultural sites, visit the city museum, climb to viewpoints and more in Napier city and close-by so you won’t even need to spend too much of fuel or transport to enjoy these Napier activities. 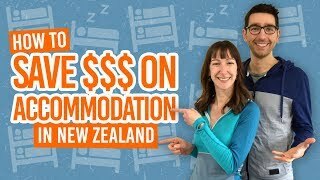 While you’re at it, save money on accommodation by staying on of these 8 Best Backpacker Hostels in Napier and Hastings. This is a great place to start if you’re new to the city. A walkway along Marine Parade offers awesome beach views and plenty of water features and statues to keep things interesting. It’s a free activity easily accessible from the city centre. With Maori carvings and the remains of Hawke’s Bay’s once most sought pa site (Maori fortified village), Otatara Pa is an extremely interesting place to visit. A 45-minute walk around the reserve offers some amazing examples of a historic pa site, as well as breathtaking views of Napier, the coast and all the way inland to Mt Ruapehu on a clear day. The Otatara Pa is free to visit. Location: 10.4km from Napier. Otatara Pa is in Taradale. Follow Gloucester Road south onto Springfield Junction where Otarata Pa is signposted. MTG Hawke’s Bay is the official museum for the Hawke’s Bay region and a great place to learn about the region’s European and Maori history. The centre is also home to several art galleries and even a theatre so you can definitely kill an hour or so soaking in the culture. Entry into MTG Hawke’s Bay is free. If you don’t mind using a little bit of fuel to get there, Te Mata Peak is another fantastic free attraction near Napier. The park surrounding its iconic 399m peak is full of walking and mountain biking trails meaning that you can spend a good couple of hours enjoying the great outdoors! For more walks in the area, see 10 Wonderful Walks in Hawke’s Bay. This activity is only as cheap as how much you end up spending. However, you can enjoy the Napier Urban Farmers’ Market as a free and cheap experience in Napier with lots of free tastings and entertainment through street performers. Catch the market every Saturday 9am – 1pm. Alternatively, there is the Hawke’s Bay Farmers Market in Hastings every Sunday 8.30am – 12.30pm. If you haven’t heard already, Napier is sort of into art deco! A great way to learn about why Napier is built with art deco architecture and get an insight into the history is to take a self-guided art deco tour. Pick up a brochure from the Art Deco Centre (around NZ$7.50) and start your tour. Alternatively, there are plenty of interpretation panels around the city that you can check out while you are walking around the city. Bluff Hill is Napier’s best vantage point in the city centre. Walk or drive all the way to the Bluff Hill Lookout with views over Napier city and the Port of Napier. Check out the World War 2 Battery Plaque or seating and garden area. The lookout is about 7 minutes drive/35 minutes walk from the city centre. At around NZ$20 for a self-guided audio tour, Napier Prison is one of the great cheap things to do in Napier. It’s also one of the 10 Seriously Spooky and Haunted Places in New Zealand as it’s New Zealand’s oldest prison. Hear stories of famous New Zealand inmates and visit the Hanging Yard with Gallows, Earthquake Room, Graveyard, Solitary Confinement and more! 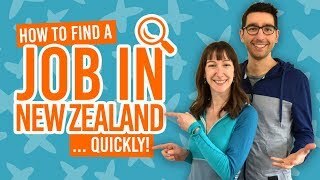 You can always rely on a hike in New Zealand to be a fun free thing to do! If you don’t mind driving a little out of town, Cape Kidnappers is a fantastic day walk (5-6 hours return) from the small village of Clifton. See the awe-inspiring layers of rock and fossils towering on the cliffs leading up to Cape Kidnappers, ending with an awesome view of coastal points and the world’s largest mainland gannet colony upon reaching Cape Kidnappers. This walk only available at low tide so time your walk well! Get more ideas like this at Top 10 Natural Attractions in Hawke’s Bay. Hawke’s Bay produces some of New Zealand’s top food and drink in their vineyards and fruit orchards. Unsurprisingly, Napier city is the perfect place to try this local produce in the bars and eateries. That’s right, we often have some amazing deals on activities in Napier for under NZ$20! Take a look at our exclusive Napier deals over on the BackpackerGuide.NZ DEALS tab.